We are an international trade company based in Geneva (Switzerland) which specializes in the sourcing, import, and export of upscale Italian manufactured products. The company focuses on the furniture business for interior and exterior decoration of residential and commercial holdings. Commercium Globalis also services the contract sector by providing turnkey furnishings and customized solutions for small, medium, large residential and commercial projects. With a strong focus on the international markets, our competitive pricing structure allows us to participate in an increasingly sophisticated global market which is why we have expanded our customer base to bring our products and services across Latin America, North America, the Middle East, and Europe. Commercium Globalis Ltd is managed by a young, creative and dynamic personnel always ready to integrate your ideas and demands with our furniture solutions to make your project evolve from concept to reality. We strive to provide interior and exterior furnishing solutions for an increasingly sophisticated consumer by offering a carefully selected portfolio of products in the respect of timeless techniques and craftsmanship. We combine both tradition and innovation to deliver the best of both worlds. Our philosophy goes beyond offering a luxury product, instead our goal is to offer a lifestyle. 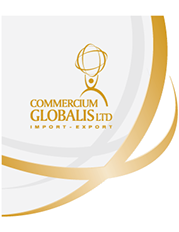 Commercium Globalis Ltd only represents those manufacturers operating in the respect of international standards of quality, production, care for the environment, ethical practices and excellence in customer service delivery. Our portfolio meets the most current standards of quality and production combined with genuine designs and noble materials that characterize Italian craftsmanship.